For the safari connoisseur, there is no more magnificent expedition than three weeks immersed in the wilds of Namibia and Botswana. Each day holds another incredible set of wildlife encounters as you journey from desert sands and granite canyons to the emerald marshes of the world’s largest inland delta. There’s time to explore remote tracts of wilderness that few visitors see. 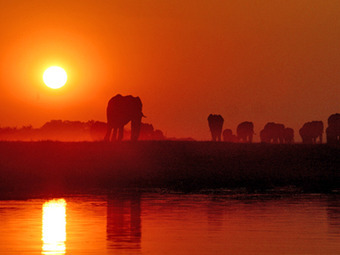 On this diverse and far-reaching itinerary, the rhythms of Africa seep into your spirit. 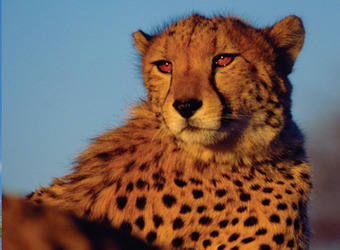 Epic Botswana & Namibia is the ideal safari for the traveler wishing to explore the variety of Southern Africa in depth. As for me, I have been lucky enough to view the wildlife splendors of the Okavango Delta and run down a sand dune in Sossusvlei...unique nature memories that will last a lifetime! Windhoek is Namibia’s capital and largest city. 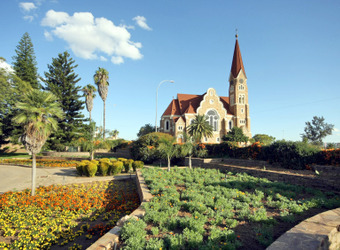 Surrounded by rolling mountains, Windhoek was the former colonial capital of German South-West Africa. While its population today is a diverse and cosmopolitan blend of cultures, Windhoek still retains much of its German heritage evidenced in language, architecture and cuisine. The city center has a European café-culture feel, relaxed and eclectic, with a pedestrian precinct, bustling shops and market stalls. A vast clay pan surrounded by the world's tallest sand dunes, Sossusvlei is one of the most striking vistas in all Africa. The dunes soar a thousand feet high in the lonely Namib Desert, shape-shifting mountains of golden sand framed by intense blue skies. Sunrise and sunset are magical, when the dunes appear burnt orange and deep carnelian red. 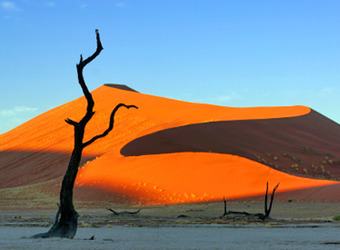 Surprisingly, Sossusvlei is home to a variety of desert-adapted wildlife. Huge, harsh and entrancingly beautiful, Damaraland contains some of the most amazing landscapes on earth. Brooding granite mountains and deep gorges, sun-baked wastes of sand and ancient petrified forest define this arid terrain. Yet remarkably, it is home to both people and animals who have adapted to these daunting environs. 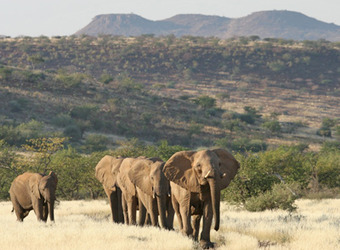 Scout for desert-adapted elephant, track black rhino in the Palmwag Concession, and wonder at some of the darkest, starriest skies on the planet. 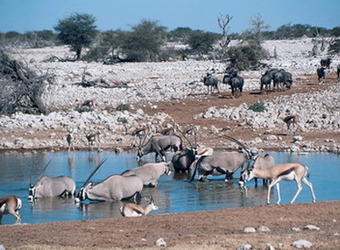 One of Africa’s premier wildlife sanctuaries, the Etosha salt pan is the remnant of an enormous prehistoric lake. Bare and dry today except for seasonal springs, the depression offers Namibia’s best animal viewing. Elephant, black and white rhino, lion, leopard, cheetah, giraffe, zebra, wildebeest, hartebeest, springbok, oryx, kudu and dik-dik are drawn to its life-sustaining waterholes during the dry season. Birdlife is abundant, with ostrich and raptors frequently observed. Okonjima is a 55,000-acre sanctuary for research and rehabilitation of Namibia’s large carnivores, especially cheetah and leopard. It is home to the AfriCat Foundation, which rescues felines that are casualties of human-wildlife conflict on Namibia’s farmlands, returning more than 85% to the wild. Get close to big cats on nature drives and walks to track radio-collared leopards and monitor rehabilitated cheetah, and learn about San tribal culture. Where the Okavango River meets the Kalahari Desert, a green oasis sprawls amid the sands and parched savanna. The maze of channels sustains a profusion of wildlife in permanently flooded lagoons and on land. Explore the marsh by poled mokoro, a traditional dugout canoe, and wildlife drives on higher ground. Islands and wetlands are home to prolific birdlife, hippo and red lechwe, while elephant, lion, leopard, zebra and more thrive beyond the water’s reach. 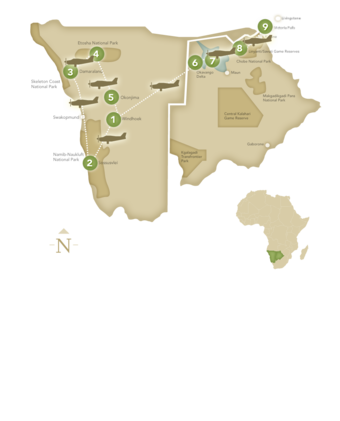 The Okavango Delta is one of Africa’s premier safari destinations, a vast and varied wilderness mosaic that encompasses a range of habitats from papyrus-fringed waterways to mopane and acacia woodlands dotted with pans. The delta’s reach varies dramatically depending on seasonal rains and flooding, creating a constantly changing set of environments. Such diverse ecosystems nurture an enormous collection of animals, making a second stop in a different region of the delta essential on any comprehensive safari itinerary. 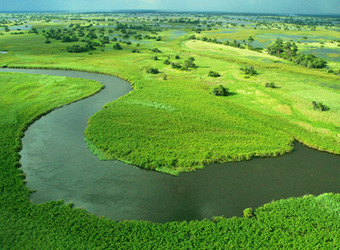 The Linyanti and Savuti region of northern Botswana is noted for its shifting landscapes, from riverine to dry pans, woodlands to plains. Perennial water attracts great herds of animals that come to slake their thirst in the dry season. The once-flowing Savute Channel, which experiences long, unpredictable intervals of drought, cuts through the reserve. 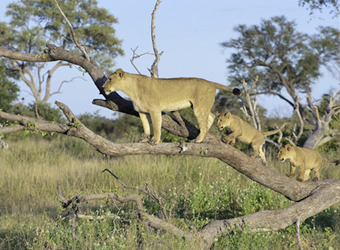 Large prides of lion and other predators steal behind, making for exciting wildlife viewing. Elephant, zebra and giraffe are also abundant. You'll see the spray first, visible for miles, called Mosi-oa-Tunya – the “smoke that thunders” – by the local people. The roar of the cataract follows, as the Zambezi River plunges 350 feet over a basalt cliff into the gorge below. 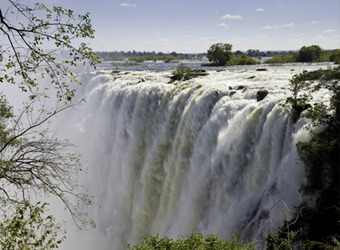 View Victoria Falls on rainforest trails, from the famous bridge, or via an exhilarating helicopter or ultralight flight – activities abound in Livingstone, including whitewater rafting, canoeing and sunset cruises. 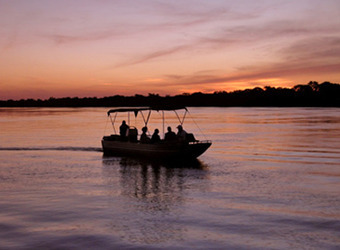 Your safari adventure ends today in Livingstone, Zambia.